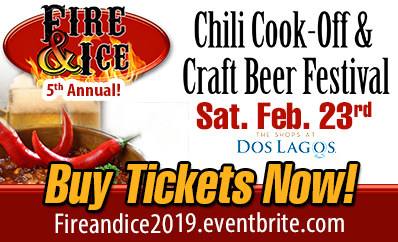 Fire & Ice 5th Annual! « Love Locks & Fountain of Love! Distinguished Judging Panel YOU be the Judge in The People’s Choice Judging Category! Rotary International’s Motto is “Service Above Self”. Our club makes a difference locally in The Inland Empire and internationally with projects targeting community service needs that address many of today’s critical issues such as children at risk, poverty, hunger, health, and violence. Rotary International is the largest International non-profit service organization in the world, with over 1.2 million members around the globe. 4) The advancement of international understanding, goodwill, and peace through a world fellowship of business and professional persons united in the ideal of service. 100% of the money we raise from this event will be used directly to fund benevolent service projects right here in our own backyard as well as in other countries, where the need is greatest and we make a difference in people’s quality of life.